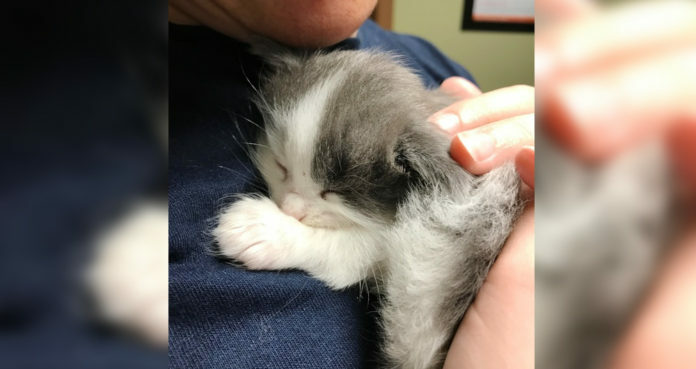 A little motherless kitten fell asleep cuddling with her human after they saved her from an uncertain fate. 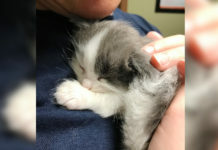 On June 12, a kind woman and her daughter spotted a tiny kitten wandering on her own in need of help. They waited for the cat mother to come back, but she never returned. 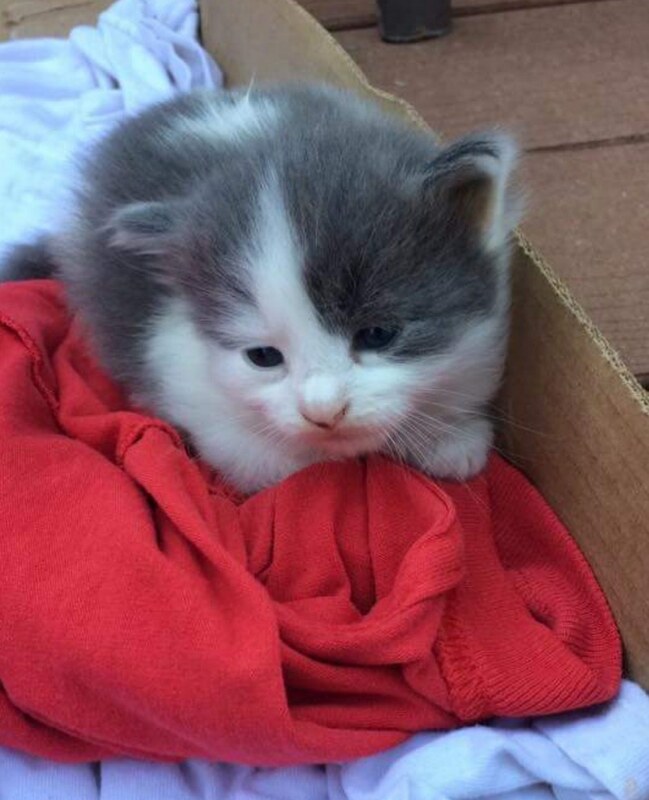 The woman went on Facebook to seek help for the little kitten, and that’s when Sarah came across the post and offered to take her. 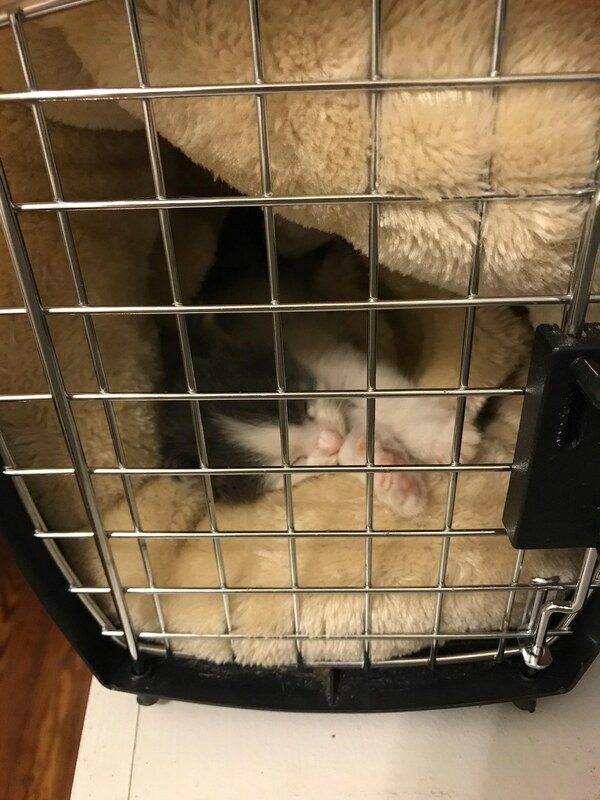 The cat mama somehow left her kitten behind. When Sarah and her roommate Bridget came to pick up the little feline, they were surprised by how tiny she was. 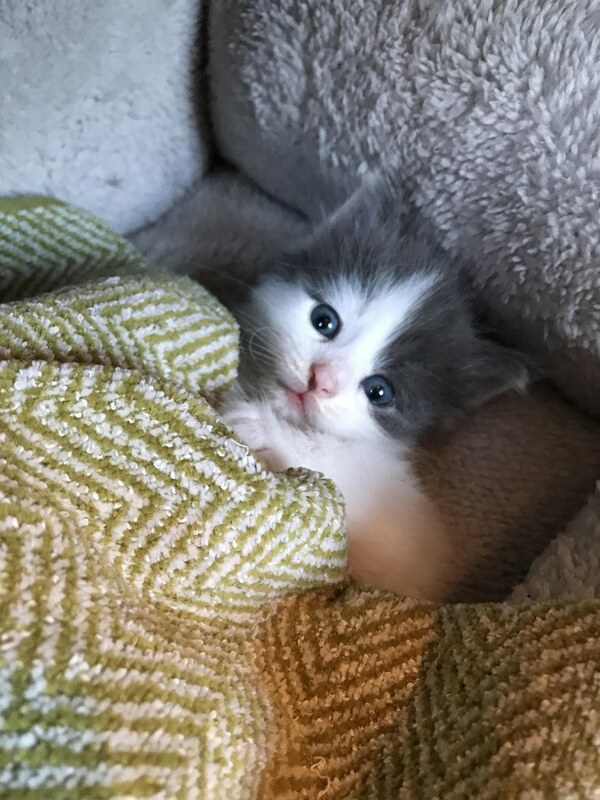 “At first I was nervous, because I’d never taken care of a kitten that young, but I knew that we needed to take care of this baby. 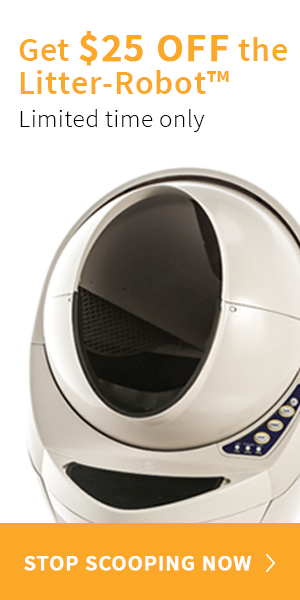 We bundled her up into a cat carrier with a bed in it, and then took her to the vet,” Bridget told Cat Concerns. The kitten was covered in fleas and in need of a lot of TLC. 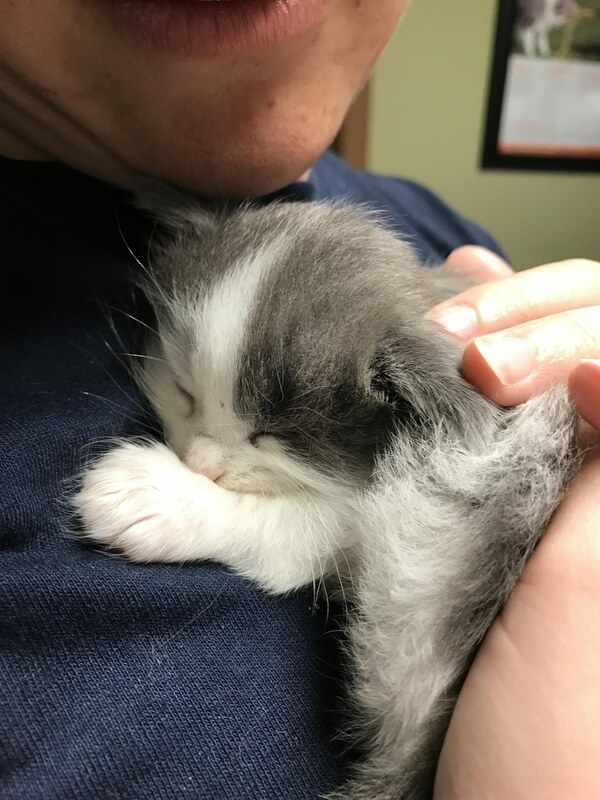 Bridget held the kitten close to her at the vet trying to comfort her, and the little fur baby fell asleep in her arms and didn’t want to let go. They named her Stevie Nicks and for the first time in her life, she had a roof over her head, plenty of food and toys, a warm bed and a family to cuddle with. 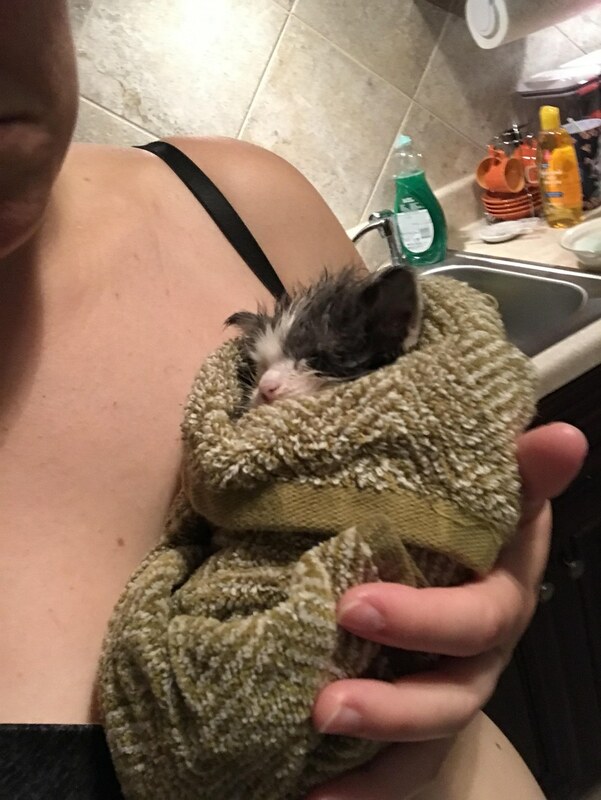 On the first day inside her new abode, the kitten got a much-needed bath. “We were horrified at the sheer number of fleas we pulled off her,” Bridget said. 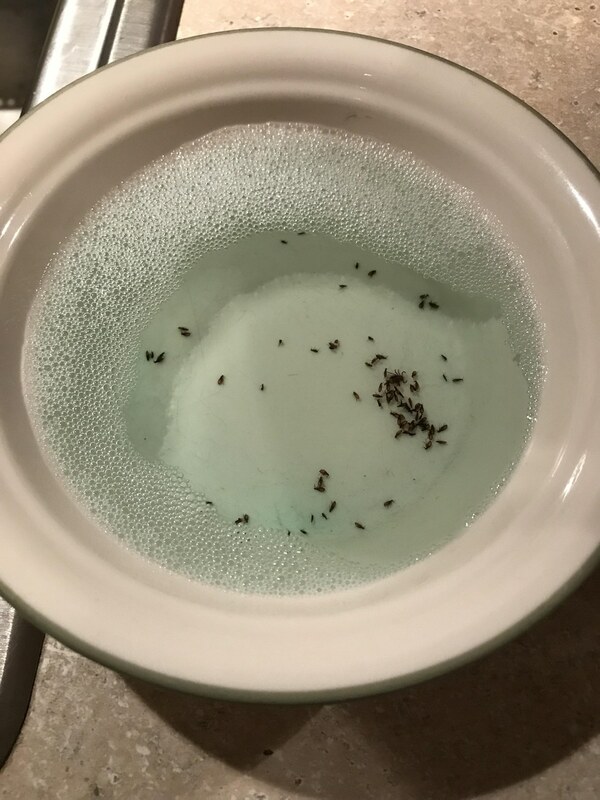 The kitten was too young for flea treatments, so they washed off the fleas with a bath and combed them out one by one. Happy and comfortable little purrito. 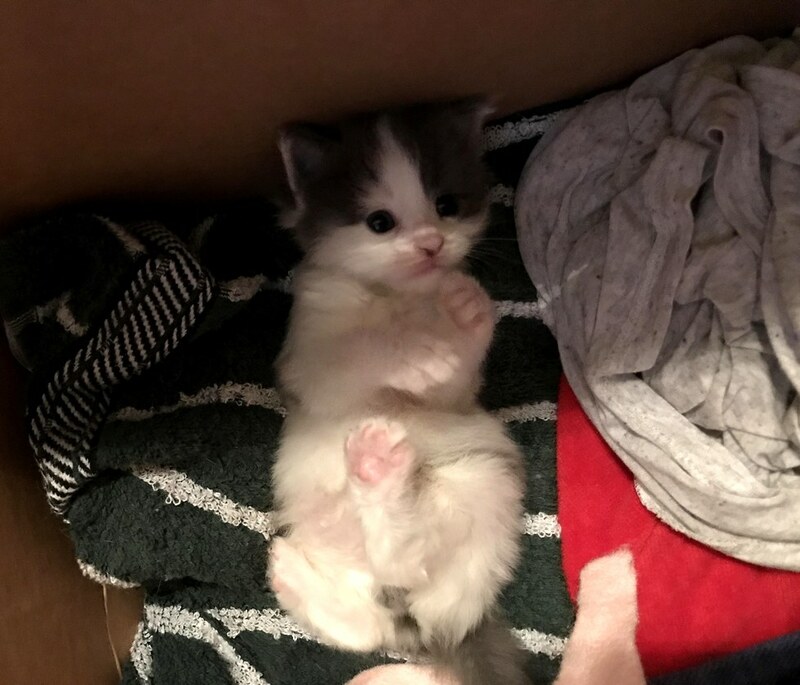 It was touch and go for a while, but the little kitten pulled through and started to thrive. 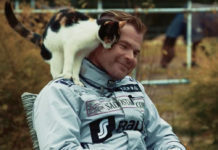 “At first it was a lot of work and I kept having dreams that we lost the kitten, and waking up in a panic. Now she’s over a pound, and really active and playful, and kind of running the show with our other two cats,” Bridget told Love Meow. 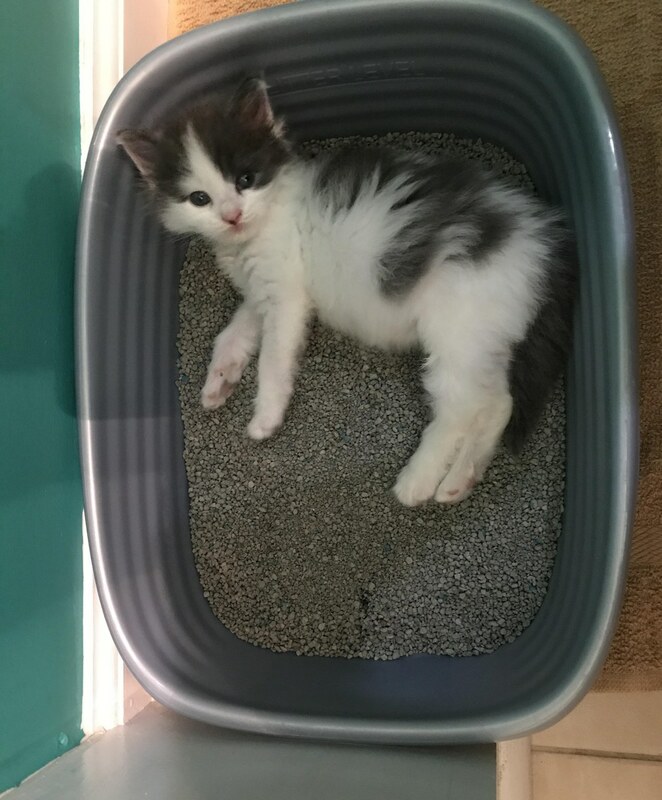 The kitten figured out how to use the litter box and was very proud! 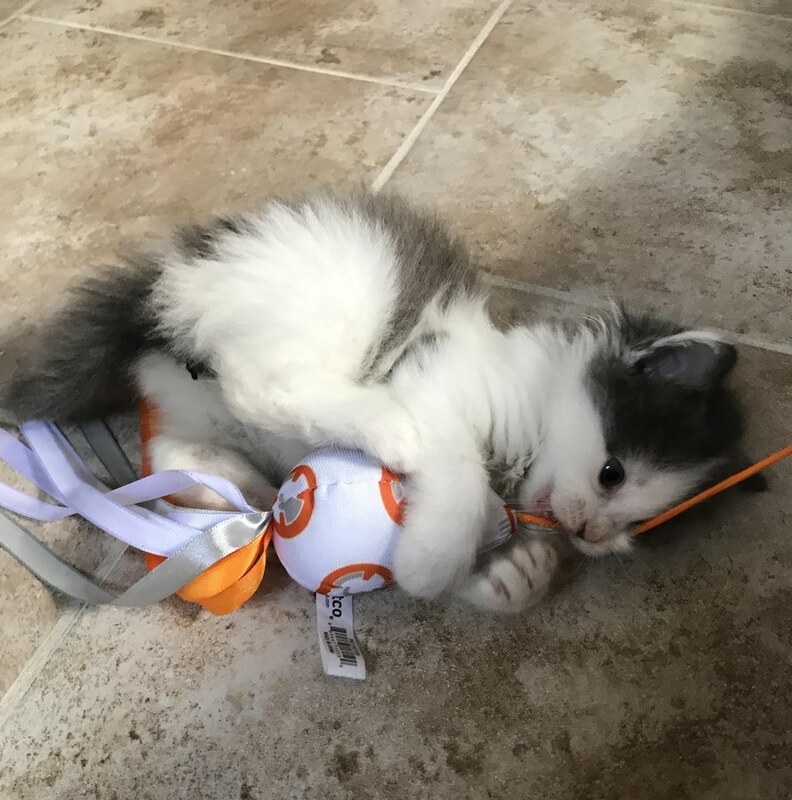 Playing with her favorite toy! 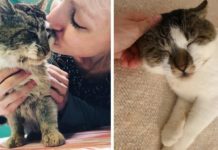 Next articleStable Cat Photobombs Owner’s Interview, Steals the Show!